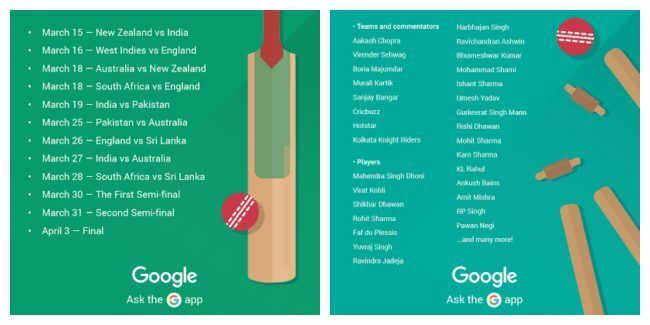 Google will be implementing 2 new experimental search features for ICC World T20 happening in India. These features will only last till the end of the tournament. See details inside. 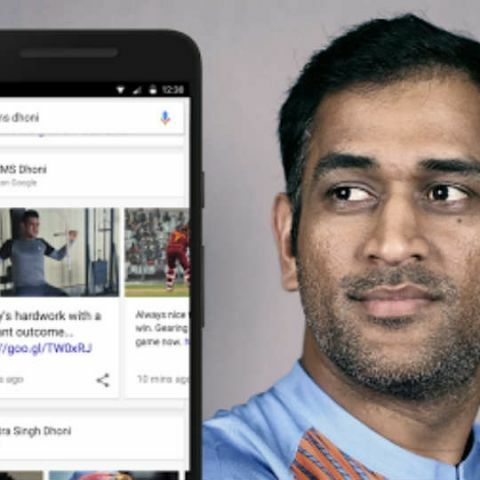 In a bid to cash in on the ongoing ICC World T20 tournament, Google has announced 2 new search features on its platform - fresh content directly from your favorite cricket players, personalities and commentators, and a new live sports commentary panel. Google is only making these new search features live during the ICC World T20 2016. These are followed by the launch of score updates and match schedules in Search last week. Below are all the matches and players for which the new Google search and commentary features will apply.